Those who waste their time with this blog know that I can be argumentative, but I do try to give the other person a chance to explain and defend alternate views. Anyone who comments on blogs will certainly be aware that this is not the rule. Venom, flaming, insult, and complete lack of interest in hearing any dissenting views are very common. Well, it’s a free cyber-world, and if people only want to engage with those they agree with already, that’s their choice. Since I am interested in the controversy over climate change – anthropogenic? proven? – I visit blogs that take the so-called consensus view, with which I disagree. Sometimes I comment. Generally, the response is anything but measured and polite, and a debate at the level of grade-schoolers ensues. To be fair, the same has happened on blogs that I do generally agree with when I have begged to differ on some particular point. How to conduct a rational debate with those you disagree with, even fundamentally, has always been a fascinating question for me. What are the limits? Reading Saint Augustine’s City of God, commenting on RealClimate, and following up on the Dunning-Kruger Effect [Full Text] has brought this all together! If you follow the link to RealClimate, a premier pro-AGW blog, moderated by Gavin Schmidt of the Goddard Institute for Space Science (right around the corner from the Seinfeld diner) you can decide for yourself how well or badly I was treated if you have the patience to follow the thread that begins at comment No. 22. One fellow suggested I was suffering from psychosis, others intimated that I was a nefarious troll, feigning real interest in the discussion, but intending only to sow dissent and distraction at the site. (Really, they didn’t have to respond to me – are they that easily sidetracked from their great work?) Many commented that despite their repeating the obvious logical case for AGW over and over, and presenting me with incontrovertible evidence, I remained recalcitrant. I was reminded of accounts of witch trials and inquisitorial interrogations I have read – the sinner refuses to recant or confess, maintains innocence, despite being presented with indubitable evidence of his guilt. His stubborness is further evidence of his sinful, heretical nature – burn him! As in the period of the great religious wars of 17th century Europe, there is an unwillingness to accept that some matters cannot be settled definitively, at least not yet, and that judgement of men and women plays a part. 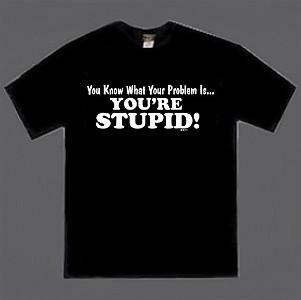 For the AGW crowd, it’s all settled, the evidence is in, to maintain that one’s judgement of the evidence leaves one unconvinced simply demonstrates that one is: stupid; ignorant of science; a shill for the oil companies; psychotic; all of the above…OR, a victim of the Dunning-Kruger Effect! Ah, now we are getting somewhere! But before we dive into contemporary academic study of incompetence (I kid you not), let us give an ear to Saint Augustine. Fine man, but he didn’t suffer fools gladly. At least, not people he knewwere fools! Here is what he says at the opening of Book II, The City of God. [He was refuting pagan authors who laid the blame on Christianity for the recent sack of Rome.] Anyone who has read AGW denunciations of skeptics, deniers, denialists, and other ‘crackpots’ will have a frisson of déja vu. If only the weak understanding of the ordinary man did not stubbornly resist the plain evidence of logic and truth! If only it would, in its feeble condition, submit itself to the restorative medicine of sound teaching, until divine assistance, procured by devout faith, effected a cure! In that case, men of sound judgment and adequate powers of exposition would not need to engage in lengthy discussions on order to refute mistakes and fanciful conjectures. But as things are, the intelligent are infected by a gross mental disorder which makes them defend the irrational workings of their minds as if they were logic and truth itself, even when the evidence has been put before them as plainly as is humanly possible. Either they are too blind to see what is put before their face, or they are too perversely obstinate to admit what they see. The result is that we are forced very often to give an extended exposition of the obvious, as if we were not presenting it for people to look at, but for them to touch and handle with theirs eyes shut. And yet, will we ever come to an end of the discussion and talk of we think we must always reply to replies? For replies come from those who either cannot understand what is said to them, or are so stubborn and contentions that they refuse to given in even if they do understand. In fact, as the Bible says, “Their conversation is unrighteousness, and they are indefatigable in folly” You can see how infinitely laborious and fruitless it would be to try and refute every objection they offer, when they have resolved never to think before they speak provided that somehow or other they contradict our arguments. Many of us have had the experience of arguing with someone in thrall to some weird conspiracy theory (men did not land on the moon!) and it is very frustrating. At some point, you have to give up. But at what point? And how do you tell if you are arguing with a person uninterested in reason or someone who just completely disagrees with you? A certain amount of trust in the good faith of the other is absolutely essential, and a willingness to bend over backwards to try and understand them. This is rarely present in abundance. Having a dispute over a complex scientific question? Your opponent refuses to accept your argument, claiming that your evidence is weak and your logic is full of holes? DKE to the rescue! Obviously, your gadfly is one of those who just doesn’t get what science is all about (The argument for AGW is basic physics, duh!) and it’s useless to engage because he hasn’t the mental tools to understand how ignorant he is!! The simplicity, neatness, and unassailable logic of this riposte is simply beautiful! People tend to hold overly favorable views of their abilities in many social and intellectual domains. The authors suggest that this overestimation occurs, in part, because people who are unskilled in these domains suffer a dual burden: Not only do these people reach erroneous conclusions and make unfortunate choices, but their incompetence robs them of the meta-cognitive ability to realize it…Paradoxically, improving the skills of participants, and thus increasing their metacognitive competence, helped them recognize the limitations of their abilities. The article is a careful academic exercise in experimental social psychology. I would be very surprised if the authors would endorse the free-wheeling use of their names to silence opponents in scientific disputes. They are also careful to point out that self-overestimation of competence can have other sources as well. Finally, their work was concerned with a rather narrow range of phenomena, for which they were able to develop fairly uncontroversial measures of ‘right’ and ‘wrong’. Even their measure of competence in humor, yes!, was based on a survey of professional comedians’ assessment of a fixed sample of jokes – surely they have a good idea of what’s funny! The interesting thing about the misuse of this academic article is that it takes a study that assesses peoples’ self-awareness of competence in uncontroversial areas – logical deduction, grammar, etc. – and applies it to a…controversy! The whole point of scientific controversy is to arrive at the truth, which will then be, perhaps, uncontroversial. I did have another reaction to this paper, however. It struck me as similar to saying, “The problem with poor people is they have no money.” Sort of obvious. Incompetent people don’t know they are incompetent. Well, sometimes they do. And why in heck is it paradoxical that giving people training and tutoring will improve their self-assessment of skill? I would venture that the notion of competence includes the idea of self-awareness of skill level. We used to call this wisdom or judgment. Although we feel we have done a competent job in making a strong case for this analysis, studying it empirically, and drawing out relevant implications, our thesis leaves us with one haunting worry that we cannot vanquish. That worry is that this article may contain faulty logic, methodological errors, or poor communication. Let us assure our readers that to the extent this article is imperfect, it is not a sin we have committed knowingly. Ha, ha. So funny. Maybe they suffer from the DKE…Boy, good thing they don’t do stand-up comedy. These are professors at Cornell University by the way. What do we learn about anything from this article? Stuff like this is what makes academic a pejorative term. This entry was posted on Sunday, June 6th, 2010 at 7:50 pm and is filed under Uncategorized. You can follow any responses to this entry through the RSS 2.0 feed. You can skip to the end and leave a response. Pinging is currently not allowed. Right – Anthropogenic Global Warming. pro-AGW refers to those who think the concept is clearly demonstrated as occurring now, and that the evidence for the position is sound and beyond doubt now. This group generally believes that human society must take action to reduce CO2 inputs to the atmosphere, although there is a smaller group that thinks it’s too late and we should just adapt, or that humans can’t change their ways anyhow. A yet smaller group thinks that we should geo-engineer the problem away, i.e., inject particles into the atmosphere to reflect more sunlight away from the earth, etc. Judicious use of Occam’s razor reveals you are a simply shill for big oil. I didn’t get as much sleep as I need but I don’t get it. Positivity? Truth vs truth? I agree that debate is essential, if that was the point. Some people who are irritated at the need to debate and defend their views resort to other means to establish their authority. Defining your opponent as suffering from a psychological disability is handy for this. Your are right about this (at least). I think of the diagnosis of “Jewish self-hater” levelled at Jews who dare to criticise Israel. Is this what you would like to see more of? Source checking and facts? “Pure” science? Arguing about whether or not the climate is changing should be a technical, tedious, and rather boring affair for people who are interested in crunching numbers and really getting at what’s going on – not a brawl between crusading environmentalists and free-marketeers. You don’t seem interested in the actual debates – keep raising it to a ‘politico-cultural’ level. Aren’t you interested in what the proper statistical method for correcting the upward bias in surface air temperature measurements, as opposed to sea surface or lower troposphere measurements is, given past and projected changes in local landuse and known local energy inputs? Sometimes I become so gripped by fear that I lose my capacity to reason. Yet that loss of reason invariably defers a solution to the underlying problem. Because in the end this issue is also political-economic (unlike,say, the earths orbit or evolution) and THAT is why there will be no satisfactory resolution in a capitalist society. How long will the debate extend over “the proper statistical method”? Because our Glacier Park is almost Snow Field Park. It is also a political-economic question, true. But not only that, and without the science part, the politics is trash. Hey, thanks for the pointer! I was wondering if there had been any follow up work by them or others. Even granting D&K their points, it seems to me that their paper is making a pretty limited and restricted observation, which they admit, despite their cutesy remarks. The RealClimate commenters accused you of ignoring evidence because you were very obviously doing exactly that. You made one or two attempts to provide actual arguments, both of which were rapidly demolished, and then spent the rest of the discussion insisting that they were failing to consider comically vague scenarios where all of their evidence turns out to be misleading in some way you refused to explain. Also, you complaining about being insulted is pure pot calling the kettle black.